The bar business is extremely competitive. Most large towns with a bustling night life will have dozens of bars in a concentrated area. In cities, this figure can be much higher. When you add a high failure rate to the competitive nature of this industry, you realize that every decision you make regarding how you run your bar is crucial to its success. For many bars, discounting and promotions play an important role in their success. 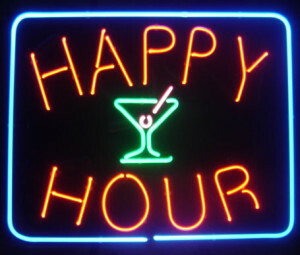 One common way that bars use price promotions to attract customers is by offering Happy Hour specials. When done properly, these specials can significantly improve your business. However, if you don’t avoid certain common pitfalls associated with Happy Hour specials, it could lead your bar on the road to ruin. •	Attract customers to your bar at quiet times – This doesn’t necessarily need to only be during the traditional after-work (4-7 pm) Happy Hour time period. Several of the bars that work with Bar-i have seen a significant increase in late night business by offering Happy Hour deals after the dinner rush is over. •	Introduce new customers to your concept – Ideally, you will be able to use your Happy Hour specials to cultivate return customers. If people initially check out your bar for the specials but like the environment, they may begin to frequent your bar more often. •	Volume vs. margin – When you reduce price, you reduce the overall profit margin on each drink. This isn’t necessarily a bad thing since ultimately you should be more concerned with your overall profits and not your profit margin on each item. However, it’s important to make sure your promotions strike the proper balance between volume and margin that will help you maximize profits. 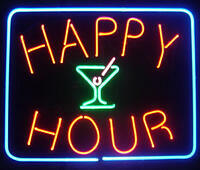 •	Incremental business generated – When done properly, Happy Hour specials should bring in business. There should always be some people that wouldn’t normally be at your bar coming in for your great Happy Hour. •	Cannibalized sales – This is the risky side of running Happy Hour deals. There will always be some regulars who would show up at your bar with or without these specials. In this situation, your regulars benefit from cheap drinks, but you’re not experiencing an increase in business. In addition, some of your new business may only show up for the discounted prices and not order anything from the full-price menu. How Do I Avoid Cannibalizing My Profits during Happy Hour? Strategic pricing decisions are ultimately a balancing act. You want to set your prices at a level where the increased volume outweighs the loss of profit margin so that your overall profits are greater. But you also need to create deals that keep customers ordering items that yield a higher profit margin. Many bars get this balance wrong by only promoting low-end products. Let’s evaluate what happens if you offer $2 PBR Happy Hour specials, but no deal on craft beers. 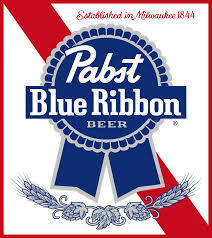 PBR is already cheaper than craft beers – you can often find it for $3 while a craft beer may range anywhere from $4-6. As a result, your craft beers are now 2-3 times as expensive as PBR during Happy Hour. By structuring your Happy Hour beer specials in a way that promotes mid and high end products as well, you can reduce the level of cannibalization. Instead of only offering $2 PBRs for Happy Hour, you should consider offering $1 off all drafts. You can apply this same concept to Happy Hour specials involving wine and liquor. Don’t just offer discounted wells for Happy Hour; instead, include a few craft cocktails and higher end liquors to keep people ordering these. Remember, a successful Happy Hour special creates a fair deal for all products you sell instead of drastic differentials in value that will ultimately cannibalize your profits. Bar-i’s free liquor cost calculator can help you price your Happy Hour specials properly so that you maximize the value these promotions can provide to both your customers and your bar. Please contact Bar-i today to find out how our bar inventory system can help you maximize profits and improve your operations. We provide services to bars nationwide from our offices in Denver, Colorado.